Society Hill Playhouse in conjunction with the stage musical Respect: A Musical Journey of Women, announced the winner of its “Respect Extraordinary Women” contest, based on recent nominees for the contest by the general public. One grand prize winner and three runners-up from the Greater Philadelphia area were selected and will be recognized in honor of Women’s History Month before the March 24 performance of Respect at the Society Hill Playhouse. The public was asked to submit a short essay nominating a woman they know who has made a difference in someone’s life. 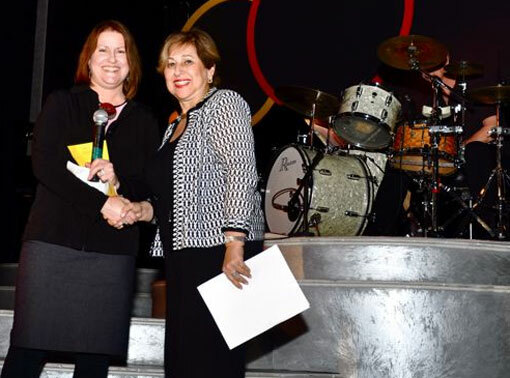 Barbara Shaiman from Bala Cynwyd, PA, was selected by the producing & creative team of Respect and officials at the Society Hill Playhouse as the grand prize winner of the ‘Respect Extraordinary Women’ contest. She will be recognized onstage by the cast prior to the March 24, 7:30 p.m. performance. As the daughter of Holocaust survivors, Ms. Shaiman has committed her life to promoting respect for diversity to ensure that genocide and violence never again happens. She created the Champions of Caring organization to educate and empower youths from the greater Philadelphia area to respect one another’s differences, to speak up against injustices, and to become social activists. Ms. Shaiman’s mother was incarcerated in Auschwitz during World War II and is the sole survivor of a family of 65 people. Her father worked for Oskar Schindler.